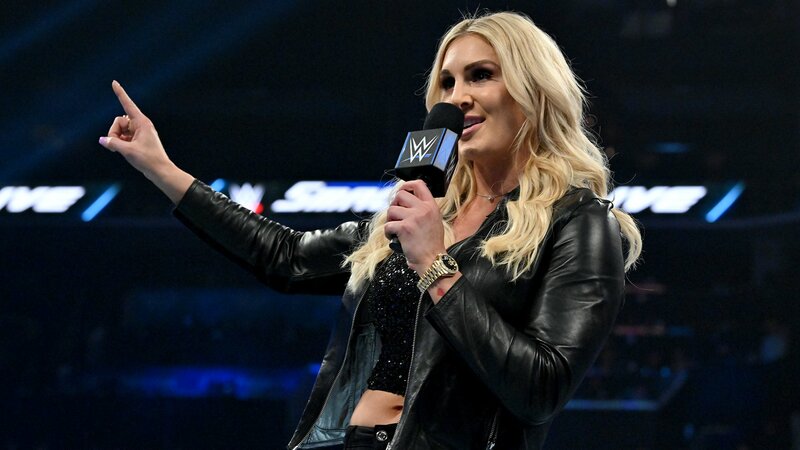 Charlotte Flair makes her way to the ring and we see what Becky Lynch did last night and Ronda Rousey’s involvement as well. Charlotte says it is not very often that the Queen gets to witness history instead of making history. She says that Vince made the main event of Fastlane even better. Kevin Owens versus Daniel Bryan for the WWE Championship. Almost as important as Vince anointing her to save the main event of Wrestlemania against Ronda Rousey. She knows why he did it. He said it best and it was because Charlotte knows her lane and she stays in it. Unlike the criminal Becky Lynch or the quitter Ronda Rousey. Charlotte says she always delivers. Charlotte says she is the gold standard. On Monday, Becky gets arrested and Ronda lays down the title that Charlotte carried so proudly. Charlotte says she would not have laid down the title. They were both thinking that they fear Charlotte. Fear makes you do irrational things. Becky fears that she will expose Becky for the fraud she is. 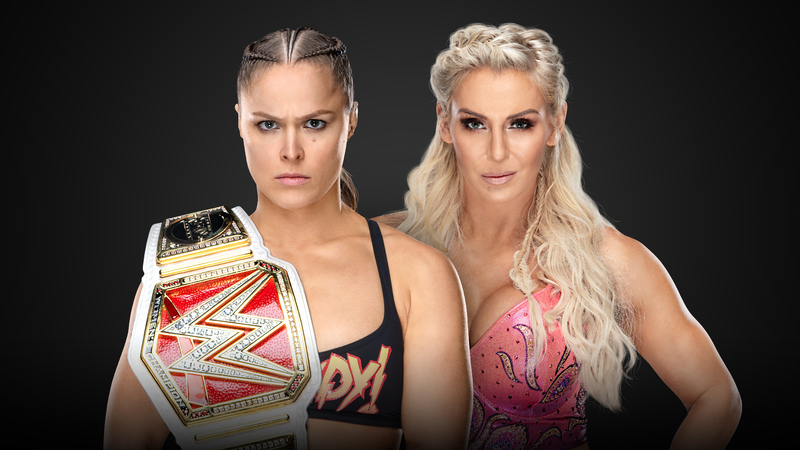 Ronda fears that she will give her another beating of a lifetime like she got at Survivor Series. Charlotte says she fears nothing. A true champion fears no one. Ronda has said what a true champion is about. Charlotte says she agrees with Ronda about something. The difference is that Charlotte will never quit and she will never lay down the title. Charlotte says she is the true champion. That is why next Monday on Raw, she will show up so Vince crown the new Raw Women’s Champion. Someone who deserves it. Your queen, Charlotte Flair. Becky Lynch makes her way to the ring to make her decision about whether she will apologize or not. We are back and Becky Lynch is in the ring, but she will not be alone for long because Triple H and Stephanie McMahon make their way to the ring. Stephanie says it has been a long night and she wants to know if cooler heads have prevailed. Will she get to live her dream or not. Hunter says they want this to work out. Stephanie says she meant that this could be the biggest match in Wrestlemania history. You have to accept the consequences of your actions. Will you say those two little words or will you throw away your moment in history? Hunter tells Becky to shut them out because it has nothing to do with them. Don’t let strangers dictate your future. Their opinions don’t matter. What do you want? Do you want Wrestlemania? This is your moment? Becky says she thinks they don’t want her near that match. She got advice whether she wanted it or not. She does not trust them and she got angry when she thought her chance was being taken away from her. She punched Stephanie and slapped Hunter. If all that keeps her from her dream is two little words . . .
Now that that nonsence is out of the way, her path to Ronda Rousey is clear. If anybody tries to steal her dream, they will be in the fight of their life. No one is taking her dream from her. Hunter says she wouldn’t have it any other way. You are going to Wrestlemania. Becky asks if that is it as Hunter and Stephanie leave the ring. Becky tells Ron Ron is The Man versus the Baddest Person on the Planet at Wrestlemania. Vince McMahon makes his way to the stage and he wants this to stop. Before you do something silly, he wants to get something off his chest. It could be one of the greatest matches in WWE history but she does not like Becky’s attitude. Vince says that he is the man and the man has a tough decision to make. You are suspended for 60 days. 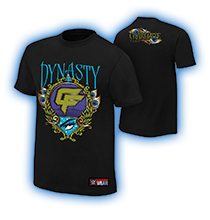 That suspension runs out five days after Wrestlemania. We need someone who knows their lane and will stay in it. We need someone who will take Ronda to the limit and we need Charlotte Flair. Vince tells Ronda to get used to it because the conclusion will be Charlotte Flair as Raw Women’s Champion.